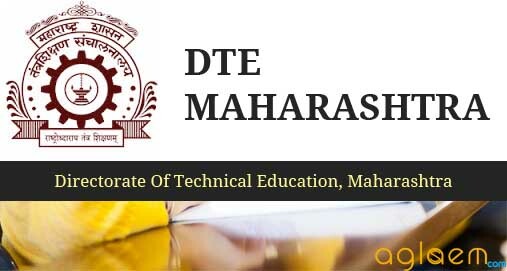 MAH MCA CET 2019 is a state level entrance examination conducted by the Directorate of Technical Education (DTE), Maharashtra. The DTE has issued the admit card for MAH MCA CET 2019. The MAH MCA CET 2019 has been scheduled on March 23, 2019, by online mode, The online application process for MAH MCA CET has been over. The aspirants must ensure that they fulfill the eligibility criteria before applying online for the common entrance test. The application process for the exam will be online as per last year. Candidates who will be registered successfully can appear for the MAH MCA CET 2019 Examination. 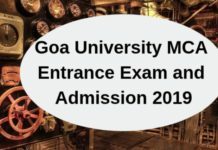 Here you can check the more details of MAH MCA CET 2019 from the article below. Latest: Result for MAH MCA CET 2019 has been released. Click here to check the result. The Examination of MAH MCA CET 2019 has been conducted in online mode on March 23, 2019. Candidates who are looking for MAH MCA CET 2019 can check the complete details like application form, admit card, result, etc from the ”quick link” box given below. Now, candidates can check the exam date for MAH MCA CET 2019 from the table below. The candidate should fulfill the following eligibility conditions to apply for the entrance test. Below we mention last year eligibility criteria for reference purpose only. Candidates are advised to visit the official website for further information and also stay with us for more updates. Should possess a Bachelor’s Degree in any discipline awarded by any recognized University with at least 50% marks in aggregate (45% in case of candidates of backward class categories and Persons with Disability belonging to Maharashtra State only). The aspirant should have studied Mathematics at 10+2 or graduation. For Direct second year admissions, the candidate should possess a Bachelor Degree in Computer Applications or Science (Information Technology or Computer Science). The candidate who will be appearing for their final examination is also eligible to appear for CET. The online application/ registration process has been started from January 15, 2019. The online application form is available at official website i.e. 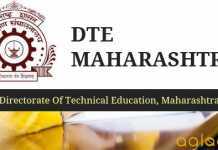 dtemaharashtra.gov.in and a direct link to fill the form is also update here. Aspirants need to register online and then proceed to fill in other required details in the application form. Upload the photograph and signature as per the format. Make payment for the application fee through online mode only. Application fee paid through any other mode will not be accepted. Before filling the application form, candidates must ensure their eligibility. 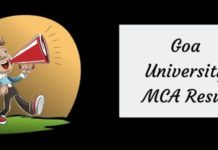 The admit card for MAH MCA CET 2019 has been available online only. No, admit card will be sent through the post. Candidates who have submitted their application form before the last date can download their admit card by entering the Registration Number and Date of Birth. The admit card contains the basic information about the exam such as date, time and venue of the examination. Along with the admit card, candidates need to bring a valid Photo Identity proof in original. Marking Scheme: For every correct answer, 04 marks will be given. Negative Marking: There is a negative marking of 1 marks for every incorrect answer. The Maine objective of this paper is to assess the general aptitude of the candidate to pursue a computer Application and software profession. Trigonometry: Simple identities, trigonometric equations, properties of triangles, a solution of triangles, height and distance, inverse function. Computer Basics: Organization of a computer, Central Processing Unit (CPU), Structure of instructions in CPU, input/output devices, computer memory, memory organization, back-up devices. Data Representation: Representation of characters, integers, and fractions, binary and hexadecimal representations, Binary Arithmetic: Addition, subtraction, division, multiplication, signed arithmetic and two’s complement arithmetic, floating point representation of numbers, normalized floating point representation, Boolean algebra, truth tables, Venn diagrams. Computer Architecture: Block structure of computers, communication between processor and I/O devices, interrupts. Computer Language: Assembly language and high-level language, Computer Programming in C.
The mock test for MAH MCA CET 2019 Exam will be released for the interest candidates here. A mock test is a very important test that gives you the experience of a real test situation. The institution that conducts this examination set the paper, correct and analyze your performance, just like a real test. It is very helpful for those students who are preparing for major competitive examinations. Candidates who are going to appear for the examination can check the mock test here after the update. The result for MAH MCA CET 2019 has been published online at the DTE Maharashtra website. The candidates can check their result from the official website. The result will consist of the marks obtained by the candidate in the entrance examination and percentile. on the basis of the result, the counselling process will be done. After the declaration of result, a merit list will be prepared on the basis of marks obtained in the entrance exam out of 200. The candidates who will qualify the entrance exam and will make through the merit list are allowed to appear for MAH MCA Counselling 2019. The counselling will be conducted in various rounds. The counselling will be expected to be commenced in the month of April or May 2019. For more details on MAH MCA CET 2019, Download information brochure.